When setting part spacing and margins for a nested sheet it is important to have a small space. This is done to allow a greater yield but leadin/out needs to be taken into consideration as they may gauge a part. Damaged and/or rough edges of a sheet also need to be considered. 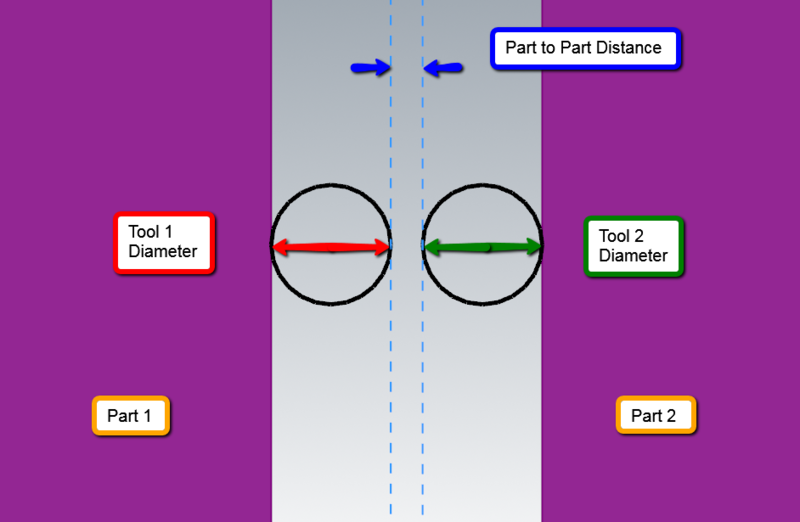 This document will go over some basics of when it comes to part spacing and margins when nesting however there is more information available through the help menu. This can be easily accessed within each dialog window by selecting . Reviewing field definition is recommended. 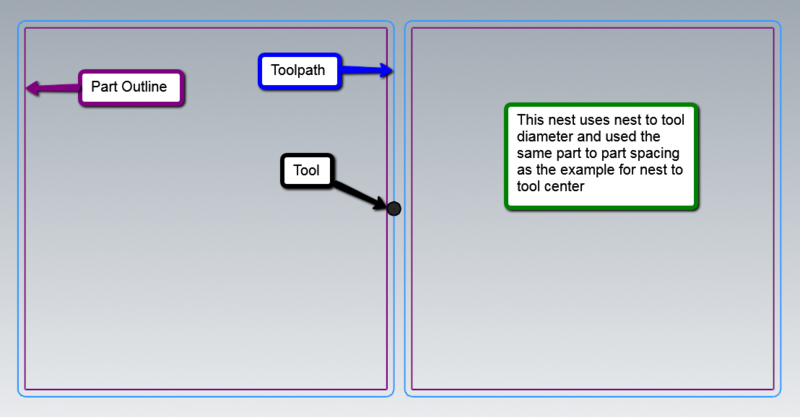 Note: All changes to Nesting Configuration need to be made before adding parts or creating nest. If changes are required nest will need to be recreated. 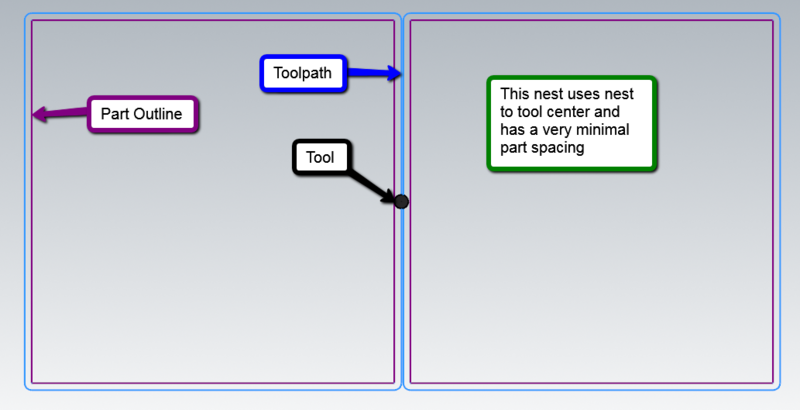 Nesting to Tool Center: will force all toolpaths to use computer compensation therefore all output code will have tool compensation set to off. This also parts to be nested so closely to together there is no waste material or very minimal. 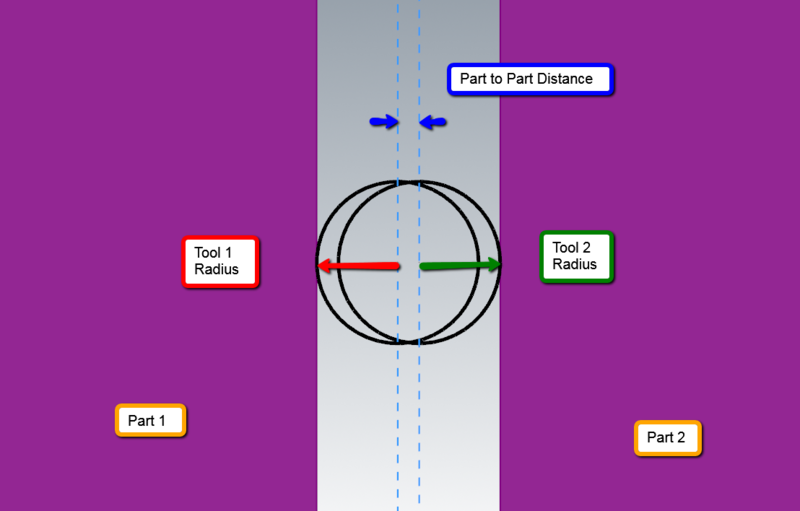 Nest to Tool Diameter: will force all toolpaths to use control compensation. This will result in a larger space between parts. 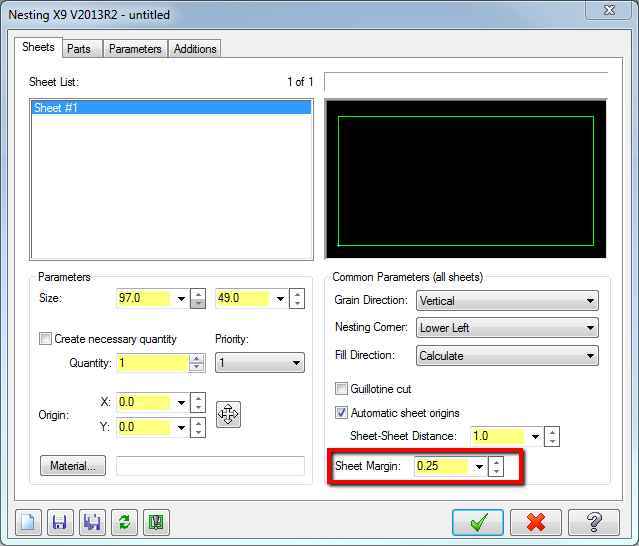 Margins are set up within the sheet tab of a nest. Part to part distance is set up within the part tab of a nest.